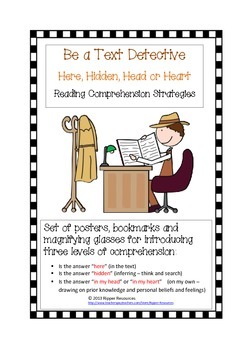 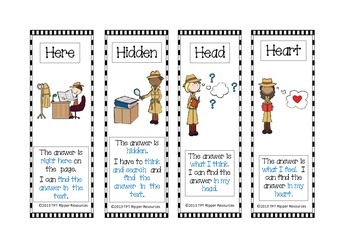 A set of posters, bookmarks and magnifying glasses to support the introduction of the 4H Reading Comprehension Strategies (Here, Hidden, Head or Heart). 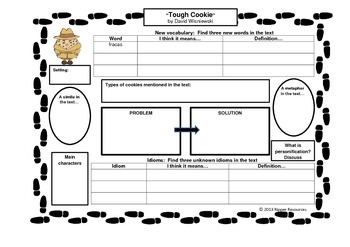 Also included are graphic organisers and questions to support two detective picture books: "Tough Cookie" by David Wisniewski and "Private I. Guana" by Nina Laden. 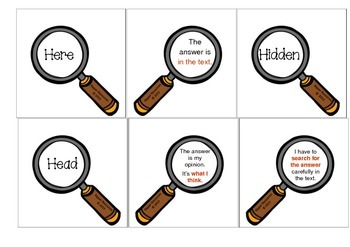 This resource is best matched to students in the early middle years (8-11 year olds).